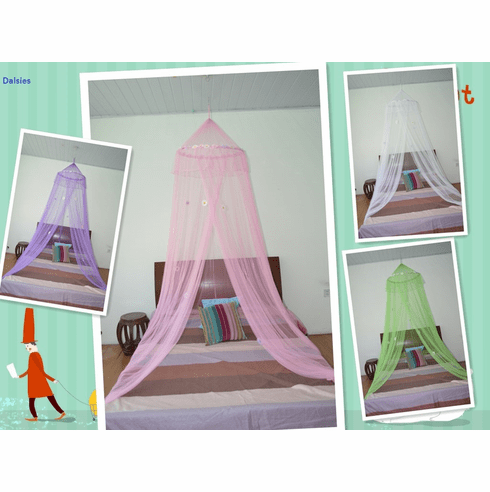 100% polyester mesh bed canopy mosquito net with daisies on the body and top can fit all size bed. Good for home décor, outdoor events. * foldable top ring, easy carry.